Racing at Wincanton on Boxing Day on Thursday 26th December is the highlight of Somerset's social and sporting calendar, and with a surge in advance booking, Wincanton Racecourse is definitely the place to be over Christmas. Advance tickets start from £8.00, with complimentary entry for children aged 17 years and under when accompanied by an adult – seeing a glorious outing for a family-of-four valued at £16.00. And, for the first time ever, Wincanton Racecourse is offering a further £1.00 per person group discount on bookings over six tickets in Grandstand and Premier Enclosures which retail at £16.00 and £23.00 accordingly (advance). Boxing Day hospitality has sold out in selected outlets with available remaining in the Kingwell Restaurant and Paddock Pavilion. The £95.00 Kingwell Restaurant package, which boasts an impressive Parade Ring view, includes premier enclosure entrance ticket, race-card, a three-course meal and a table for the day. While the Paddock Pavilion provides value for money with a £55.00 price tag for a premier enclosure entrance ticket, a two-course hot buffet and a base for the day. 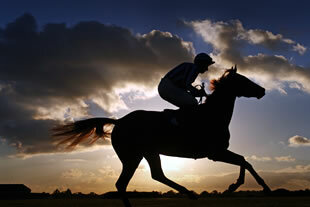 Under 12s catering discount apply at the family orientated racecourse. "The team is very much looking forward to our Boxing Day meeting. We continue to deliver value for money and look forward to welcoming the very many race-goers." Gates open on Boxing Day at 10.30am with a seven-race card beginning at 12.30pm. To order tickets please call 0844 579 3014 or visit www.wincantonracecourse.co.uk for further information. A complimentary park & ride service will be in operation from Morrisons and Wincanton Medical Centre (postcode BA9 9FQ). Buses will be ready to start transporting people to the racecourse from 10.00am.